for $250,000 with 2 bedrooms and 3 full baths. This 1,521 square foot home was built in 1984 on a lot size of 0.72 Acre(s). 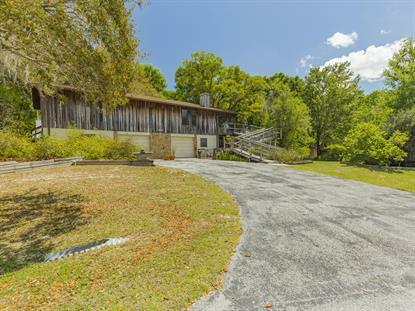 Custom built home clad in Cypress on a large beautiful lot just a short walk to the Rainbow River and the Rio Vista community park. 1300SF living area upstairs featuring 2-bedrooms and 2-full baths, great room with a stone surround wood burning stove, wrap around deck and screened porch overlooking the beautifully maintained gardens. The view is like looking out from a wooded cabin in the Smokey Mountains! Downstairs features approx. 221SF living area with a full bathroom, a 2-car garage, workshop and screened porch. Out buildings include smokehouse, firewood storage bldg., 2 storage buildings, and a greenhouse. Raised beds throughout the gardens offer easy access to your plants and flowers. Beautiful trees provide a shaded, tranquil vacation atmosphere. Seeing is believing.